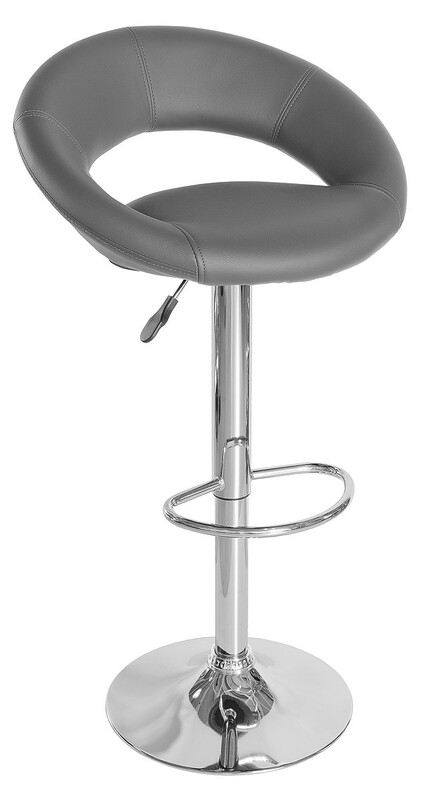 The New Moon bar stool is a bold piece that takes design ideas from famous top designers and creates something new and unique. 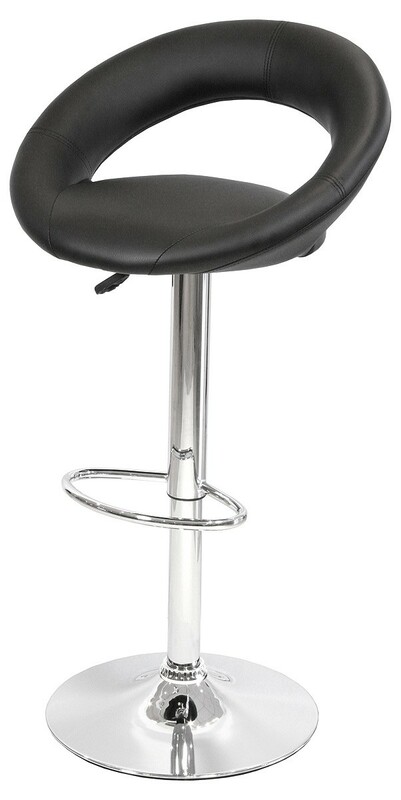 Fully height adjustable and with a foot rest this swivel bar stool will suit you in comfort. The seat is wide with lots of padding inside to assure you can enjoy that drink in comfort.. The back of the chair is cunningly designed to snuggle into the small of your back for added comfort and better posture. Available in black, grey or cream. Dimensions: H 80cm - 102cm W 55cm D 49cm.